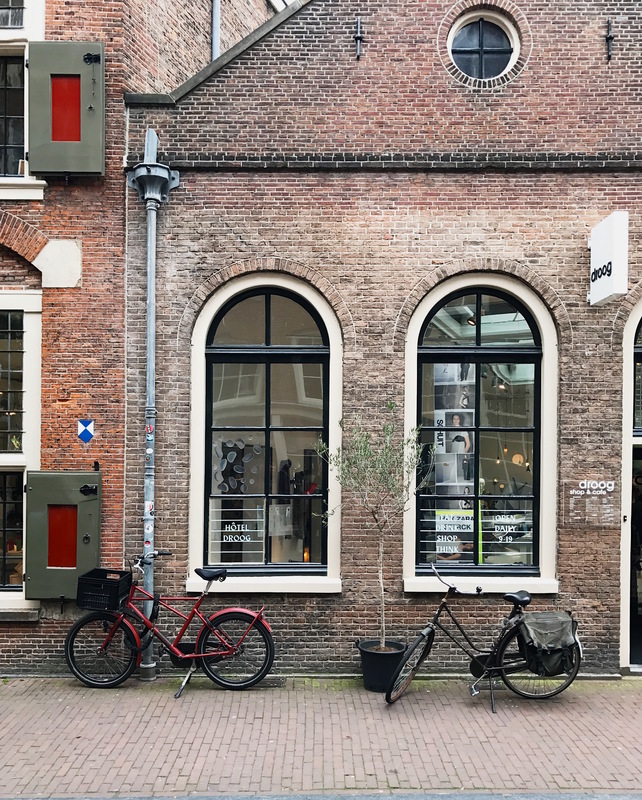 Nestled between the busy Waterlooplein and even more crowded Nieuwmarkt is the Staalstraat; it's incredibly central but feels like a welcomed escape from the shrieks of tourists, honks of impatient taxis and ringing of bicycle bells. 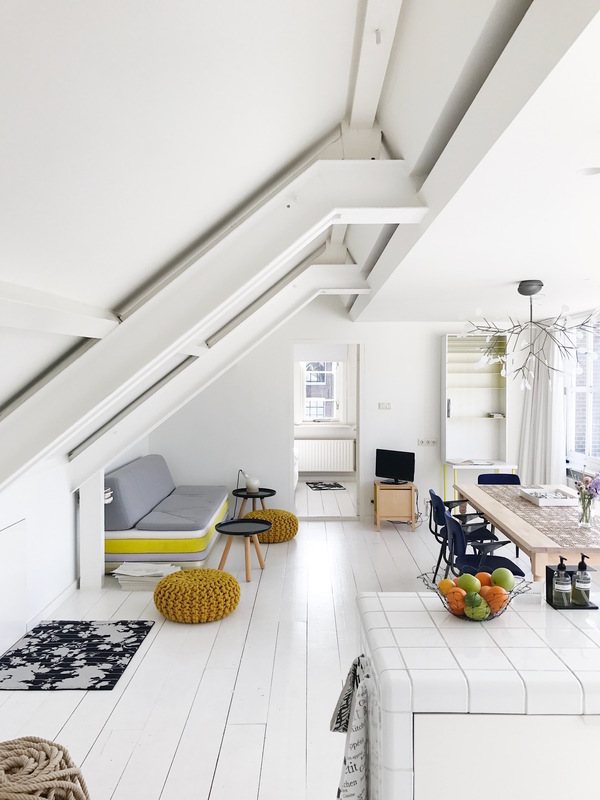 It's here that you'll find conceptual design company Droog. Established in 1993 by Renny Ramakers and Gijs Bakker as a platform for contemporary Dutch design, Droog (or 'dry' in Dutch, referring to the company's no-nonsense approach and specific sense of humor) works with independent designers to design and realize products, projects, exhibitions and events from its design emporium Hôtel Droog. 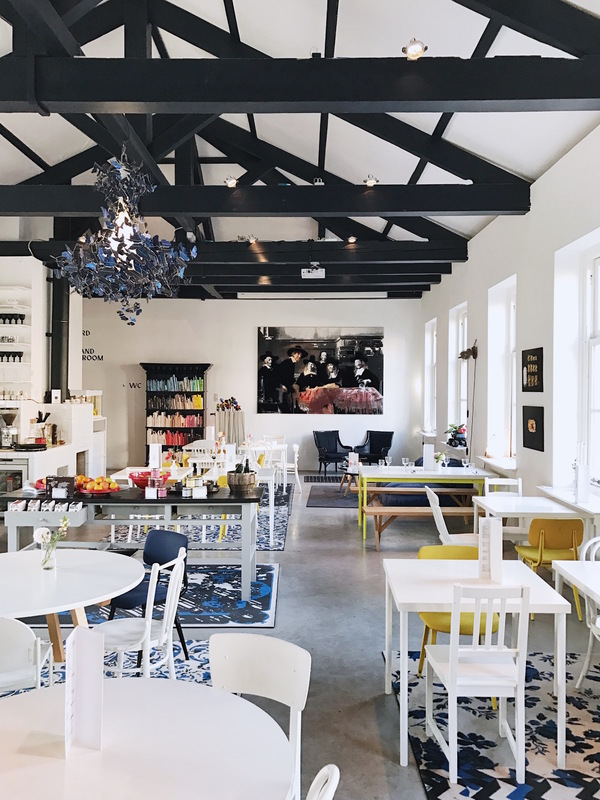 Originally a renowned textile manufacturing business, Hôtel Droog has kept intact most of its 17th-century details; a reinterpretation of Rembrandt’s famous 'De Staalmeesters' (which once hung here) by Dutch artist Berend Strik decorates one side the cafe. Droog director Renny Ramakers conceived the 'hotel' as a venue that "brings all of [their] activities under one roof, from curation to product design, exhibitions, and lectures, and invites people to plug in as they choose". 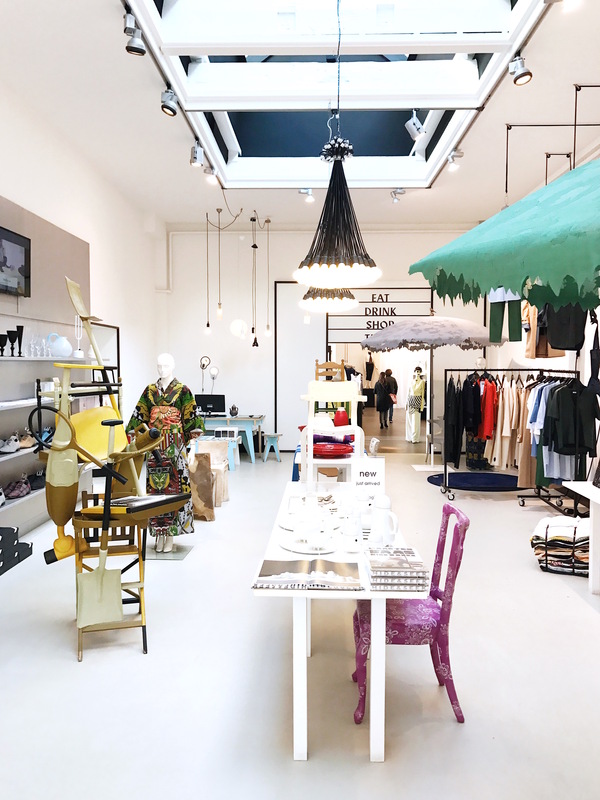 The ground floor houses a shop (with Droog products and a curated selection of products from other labels), a large space for the occasional pop-up shop and, my favorite, the Fairy Tale Garden. Designed by Claude Pasquer and Corinne Détroyat, it's a wild garden of real and artificial flowers that attract birds, butterflies, and insects, and make it worth the visit any time of year. 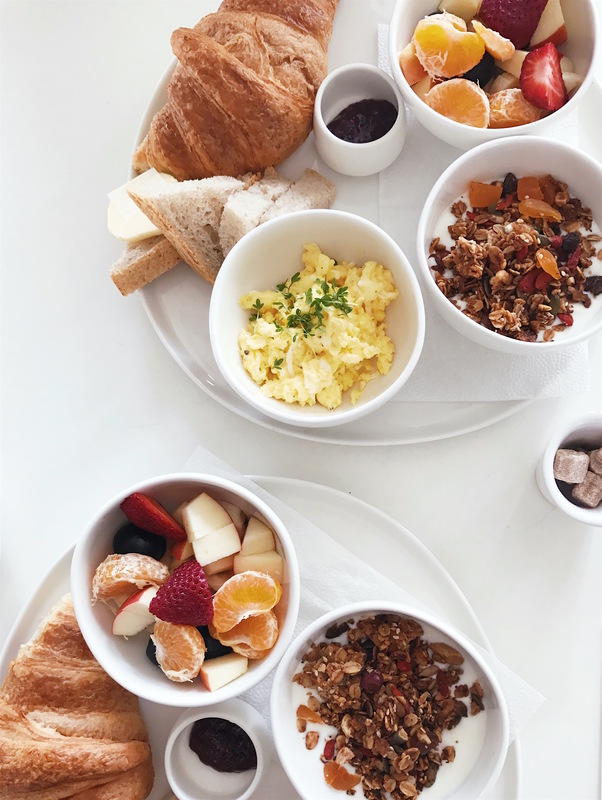 Walk up the stairs into Cafe Droog, which serves simple and healthy dishes for breakfast and lunch with seasonal ingredients; we indulged in their 'complete breakfast' on an early Saturday morning, complete with yogurt and granola, fresh fruit, a croissant, and a side of scrambled eggs and toast. Their High Tea comes highly recommend too! Walk through the Courtyard, a multi-purpose space with an impressive installation of blue birds on the ceiling, to the Library space where you'll find a wall of bookshelves filled with blank books, or “classic novels that were never written”. 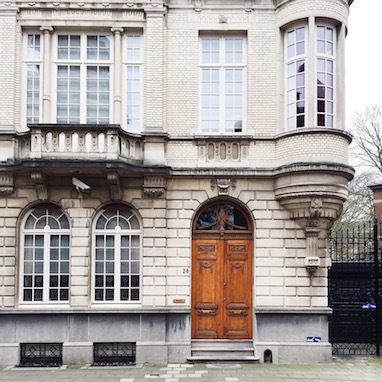 The name Hôtel Droog is slightly deceiving since the concept of a hotel has been turned on its head. "Whereas a hotel is usually mostly about sleeping, we have enlarged and emphasized all the aspects that many hotels also offer and made them central to the hotel experience," says Renny Ramakers. 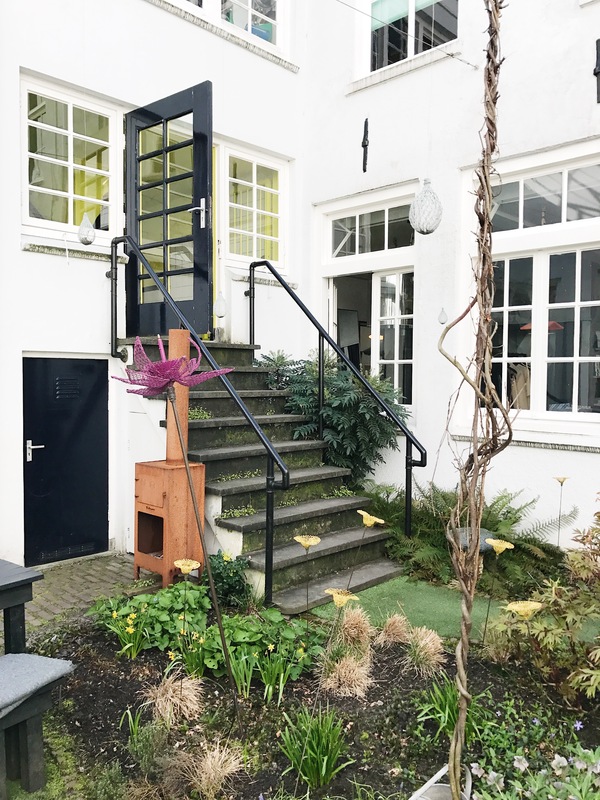 But there is one room, the One and Only Bedoom, located on the top floor (accessible only to guests) and decorated, not surprisingly, with Droog furniture. So if you're looking for a place to find a unique gift for a friend, have a delicious lunch or an afternoon cup of tea, or escape from the hustle and bustle of the city (or even stay the night), you know where to go! This post was created in collaboration with Droog, all thoughts are my own.